Main house of 171m ² including a living area of 53m ² with chimney, fully equipped kitchen of 20m ², cellar / boiler room, toilet with wash-hand, a parental suite of 27m ² in ground floor. At first floor, 2 rooms (15m ² and 21m ²), room of water and toilet. 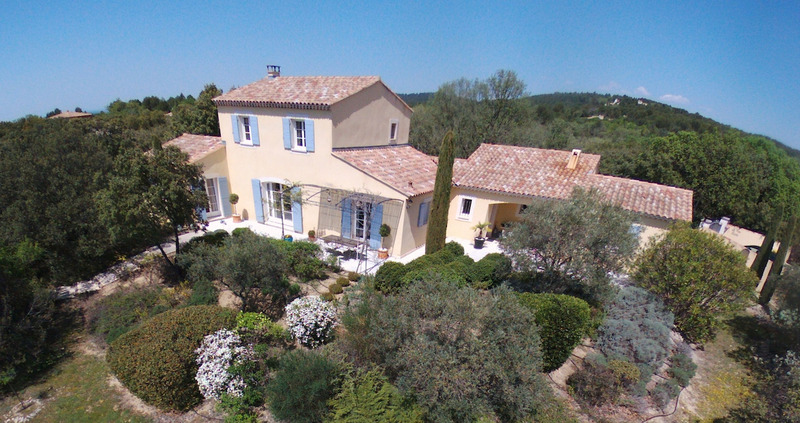 Independent studio of 22m ², swimming pool 10m x 6m with pool-house, garage 32m ² and car-shelter 61m ² on ground closed and sported by almost 6000m ².
Motorway access 15 min, TGV 25 min and international airport of Marseille Provence 50 min. Ref : XR061218 Prix : 975 000 € agency fees included at seller charges ( 5% ).